It’s no secret that our teeth become weaker and more susceptible to diseases and tooth decay as we get older. When a tooth is cracked, broken, or damaged, infections to the tooth are more likely to develop, which can lead to severe oral health problems. This is why here at Quality Dental Care in Omaha, NE we recommend getting a dental crown placed around the broken or damaged tooth. Dental crowns are false tooth caps made of porcelain or metals like gold or silver. These caps help restore strength to your broken teeth and offer protection from potential infections. While a dental crown can help protect and restore broken teeth, this is not their only function. Often times when teeth are extracted due to damage or infection, a dental implant is used to replace the missing tooth. Dental crowns are then placed on top of these implants to help restore the functionality of the missing tooth. For years the preferred material for producing dental crowns was gold or silver based metal implants. A mold would be made of the patient’s mouth to be sent off to a laboratory to have the dental crown manufactured. It would then be sent back to our office and we would place the crown during the second appointment. Now, we offer this same quality and effectiveness in porcelain crowns as well, right here in Omaha. Porcelain dental crowns are not only just as strong and durable as their metal counterpart, but they also give the added benefit of looking like your natural teeth. Restores Function and Beauty- Whether you choose to get a metal crown or a porcelain crown placed, both are effective at restoring functionality to your bite. In the case of porcelain dental crowns, beauty can be restored to your smile and no one will know you have a dental crown because they look just like real teeth. Durable- Dental crowns are extremely durable. Both metal and porcelain dental crowns can last up to 15 years before they need to be replaced, so long as you take proper care of your teeth. Dental crowns are also cemented into placed ensuring that they will not slip out when eating or talking. Protection- Dental crowns cover damaged teeth to help protect them from any further decay or damage. Having a dental crown cover a damaged or broken tooth can add protection from infection but it can also add protection against stains since porcelain is stain resistant. 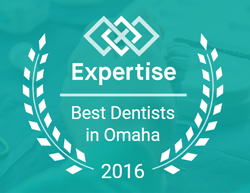 If you are interested in our dental crown services or any of the other services we offer at Quality Dental Care in Omaha, NE you can contact us here or by calling 402.431.8844 to schedule an appointment.